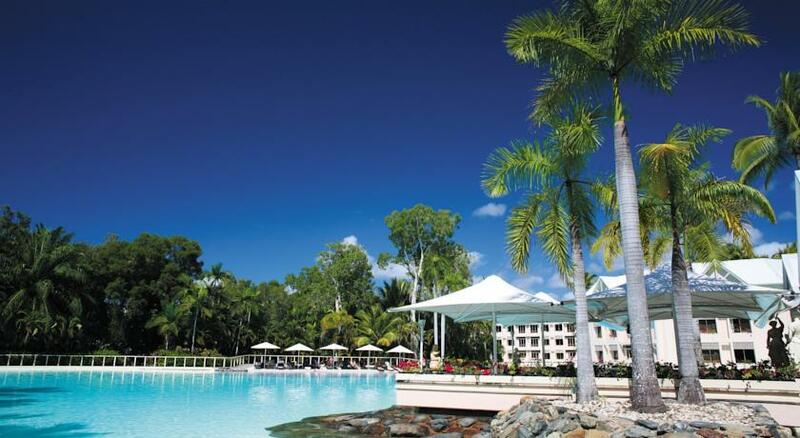 Bordering Four Mile Beach on the outskirts of Port Douglas, in Queensland, Australia, the Sheraton Mirage Port Douglas Resort is approximately 40 miles (67 kilometers) from the Cairns International Airport. Vacationers can appreciate the resort’s lush tropical landscape and the proximity to fantastic tourist attractions. The Sheraton Mirage is located just 21 miles from the Great Barrier Reef, the largest coral reef in the world, and is just one mile(two kilometers) from the Habitat Rainforest. Art galleries, shopping and dining options are just three miles (five kilometers) from the resort at Marina Mirage. An 18-hole golf course, nine lighted tennis courts, pool table and game room are some of the resort’s notable amenities. A large plantation-style building and dozens of villas set amid 180 acres of lush gardens are encompassed in this resort. Guests can swim in five acres of saltwater lagoons that wind through the property or relax on the beach.